In France, Some Muslims Seek To 'Adapt' Islam To Secular Culture : Parallels Many French Muslims believe it's time to create a uniquely French brand of Islam that is compatible with the country's secular values and responds better to the needs of modern Muslims. Tareq Oubrou, an imam in Bordeaux, delivers a sermon in French and Arabic at the city's grand mosque. Most imams in France speak only in Arabic. The carpeted prayer hall at the grand mosque in the French city of Bordeaux is full on a recent Friday afternoon. Behind a sculpted wooden railing on a small raised pulpit, Tareq Oubrou, a popular imam, is delivering his sermon in French as well as Arabic. 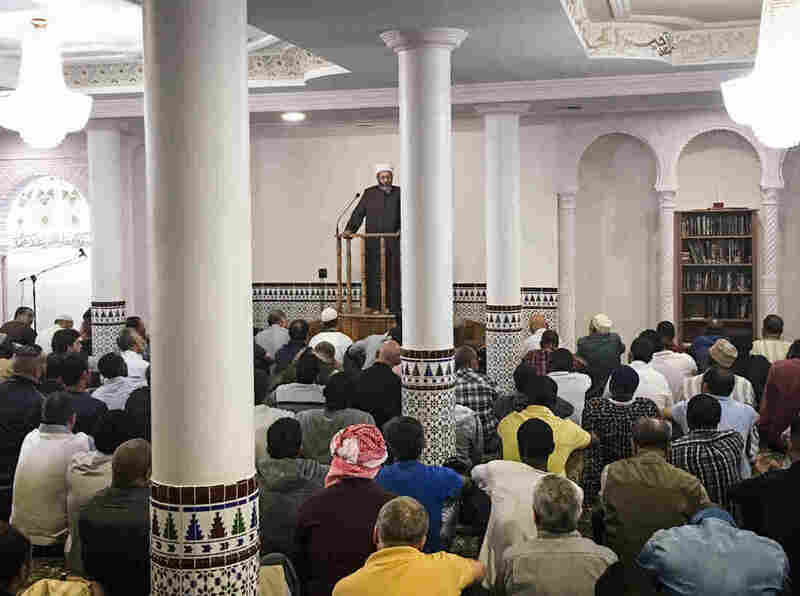 Bilingual sermons are rare in French mosques. Most Muslim clerics in France are foreign and speak in Arabic, which most young French Muslims don't understand. Oubrou says that's one reason why Muslim religious leaders are out of touch with a generation of French Muslims. The interpretation of Islamic scriptures is often out of sync with modern times, too, he says. He's working to change that. Oubrou says a reformation is long overdue, and he's become a leading force in working for change. France has suffered two major terrorist attacks in recent years, both carried out by home-grown Islamist extremists. The country is home to Europe's largest Muslim population, and many French Muslims like Oubrou believe it's time to create a uniquely French brand of Islam — one that is compatible with the country's secular values and responds better to the needs of modern Muslims. "We have to rethink Islamic doctrines in light of our times," says Oubrou. "One of the reasons for the violence is that some people are interpreting these medieval canons literally. So we have to take Islam out of the context of ancient Arab-Muslim civilizations and adapt it to a modern, globalized, secular society, like France." Oubrou has received death threats from radicals who don't agree with him, but he has so far refused the French government's offer of protection. "Everyone in France feels threatened by terrorists," he says. "Why should I get protection?" In any case, he is not scared. And he wants to be free. "It's their goal to create terror and fear," he says. "As long as people keep their rhythm and serenity, it is a victory over the terrorists." Oubrou came to France from Morocco when he was 19, originally to study medicine. Now 52, he's raised four children in France and says he's proud to be French. The French model of society is based on the teachings of enlightenment philosopher Jean-Jacques Rousseau – it's one of assimilation, Oubrou says, where all differences are meant to be erased. He says France emphasizes equality rather than liberty. This, he says, is the opposite of Britain and the U.S.
"In the Anglo-Saxon model, there's a preference for liberty," says Oubrou. "So the system doesn't promise equality and equal salaries. France promises equality, but falls short. And this is what creates the frustration that can lead to violence." Oubrou says young Muslims face discrimination and often don't feel they're fully French. He says their Muslim culture is one reason for the discrimination. "We're living in the most secular country in the world on the most secular continent, Europe," says Oubrou. "Any kind of religion in the public sphere is suspect, because French secularism was won by opposing the Catholic Church. People fought to liberate themselves from religion." Oubrou says the French thought they'd solved the problem of religion in the public sphere when religion and the state were officially separated in 1905, and the Catholic Church's pressures receded from public life. Then, in the 1970s, Muslim immigrants arrived from North Africa, with religion a part of their culture. "So the old demons have been awakened," he says, "and French society views the Muslim faith as a threat." Oubrou says young Muslims are often ignorant of the spiritual side of their faith but some embrace Islam as a cultural identity — and as a shield, to protect themselves from what they see as a hostile society that considers them second-class citizens. "Religion is supposed to be for sharing. And once we transform it for protection, we are confiscating God and spirituality," he says. For young French citizens with Arab origins, "If you want to express a revolt [against French society], you are a fundamentalist Muslim," says Hakim El Karoui, a Muslim writer and business consultant. He's the author of a recent study titled "A French Islam Is Possible," published by the Montaigne Institute, an influential Paris think tank. To complete the study, El Karoui and his team did something that's usually illegal in a country where everyone is supposed to be equal: They collected demographic statistics to find out how many Muslims live in France. The French population census does not note religion, race or ethnicity. "I don't know [how] you deal with a problem if you are not able to have a clear picture," says El Karoui. "So getting statistics to find out who French Muslims are was compulsory." El Karoui's team got special authorization to do so from French data protection authorities, known as the Commission Nationale de l'Informatique et des Libertés, as long as they agreed to maintain respondents' anonymity. 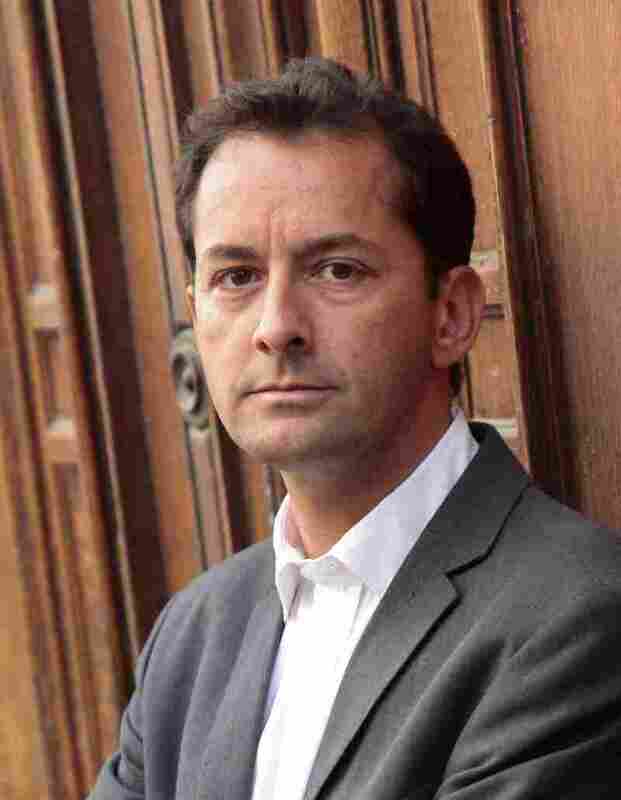 El Karoui says he and his team of researchers discovered there are fewer Muslims in France than people assume. He says there are around 4 million, and not the widely accepted and cited figures of 6 million to 8 million, or about 10 percent of the population. For the purposes of El Karoui's study a Muslim was anyone who identified as such. The study found 1,000 out of 15,000 total respondents self-identified as Muslim. Many French with one Muslim parent did not. 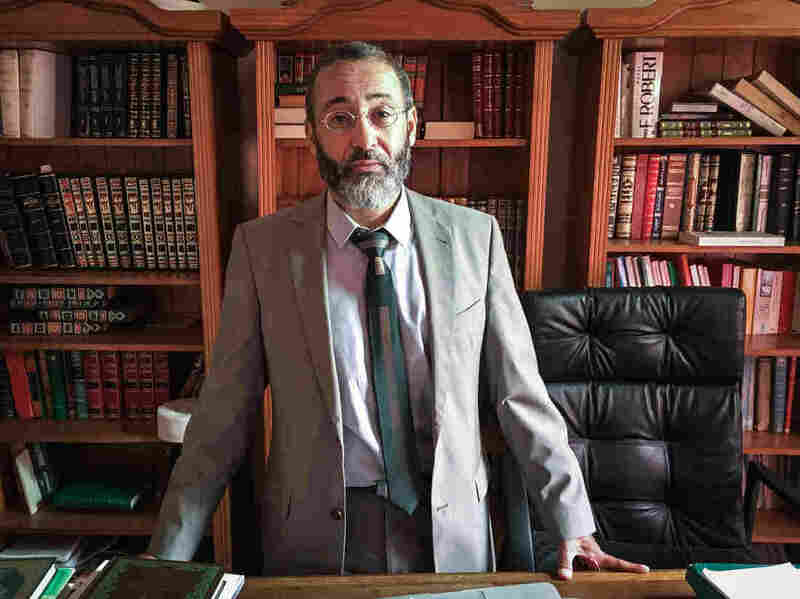 El Karoui says about half of French Muslims are integrated into society and are more or less secularized — believing in French laws above all else — even if they fast during the month of Ramadan and avoid eating pork. When his report came out last fall, one figure shocked people: that a quarter of Muslims in France do not believe in core French values, such as equality between the sexes and the separation of religion and the state. "This group uses religion to send a message against French values," says El Karoui. "So of course, they are the ones that get all the attention of the media and politicians." El Karoui says there are certainly some radicalized people within this group and most of them are young, under 25. El Karoui's study proposes eight pragmatic solutions for developing a French Islam that is compatible with the country's values and free from foreign funding from Algeria, Morocco, Tunisia, Qatar and Saudi Arabia — which provide support to imams and some large mosques with religious schools. Some of the proposals include recruiting French-born imams and training them in France, and offering Arabic courses in the secular public schools — so kids can learn the language outside the mosque. And El Karoui says that French political leaders should do more to embrace French Muslims. "Saying you are French, you are not a foreigner, and you are a part of the national community is very, very important," he says. "It's important to remind the rest of the population that Muslims are French, and that their problems are everybody's concern." Oubrou, who says his four children are gainfully employed or studying and are all active in the life of Bordeaux, says there are tens of thousands of Muslims working in French hospitals, offices, universities and politics. "But they're invisible," he says. "We don't talk about them. We only talk about the delinquents."